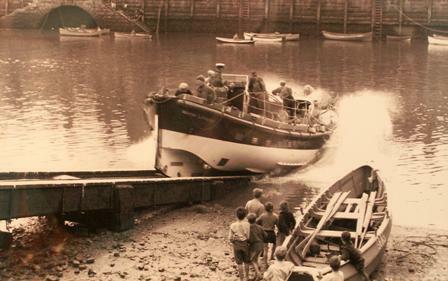 In April 1938 Whitby received it's new lifeboat little did anyone know then that she was to become one of the longest serving lifeboats in the R.N.L.I. fleet. 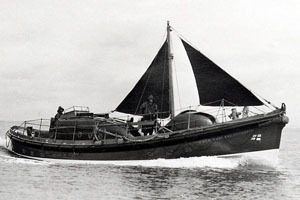 On 11th April 1938 the new Whitby lifeboat went on service, costing £6,576 it was provided by Mr. W. Hepworth of Hull. The naming ceremony took place on June 27th 1938 she was officially named "Mary Ann Hepworth" by the Marchioness of Normanby. A 41ft Watson class fitted with two 35hp petrol engines & sails she was not self righting, nevertheless she was state of the art for her time. 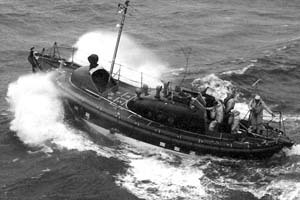 In 1974 after serving 36 years, being launched 372 times and saving 201 lives she was replaced by the Waveney class lifeboat " The White Rose of Yorkshire". After being sold by the R.N.L.I. she spent some time on the Broads and the river Trent. In 1988 Barry Snedden who was a crewman on the lifeboat bought her and brought her back to Whitby. Back in Whitby the boat was restored back to as near original as was possible. After several inspections by the powers that be, permission was given and the necessary licences acquired to do pleasure trips. 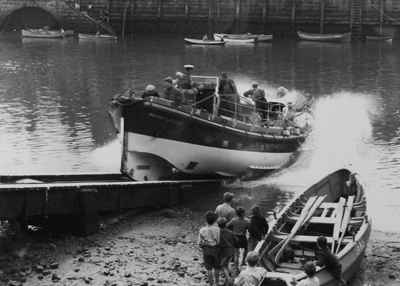 1989 saw her back in her original lifeboat colours giving pleasure trips to sea from Whitby's bandstand. Today from April to October you will find Barry and his crew ready to take you for a trip on a piece of Whitby's unique maritime history. Leaving every half hour from near the swingbridge, opposite the HSBC bank. The boat has been seen in episodes of the Yorkshire television series 'Heartbeat', and also in the TV series 'One Summer in Whitby' which featured the boat quite a bit, and again in 'Island Race' with John McCarthy and Sandy Toskvig. 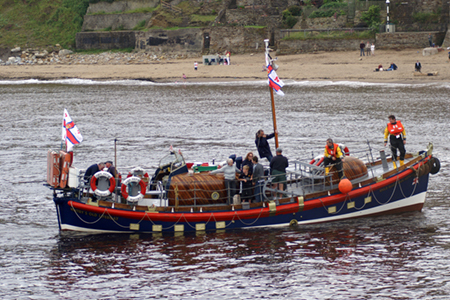 Come to sea with Barry and his crew and enjoy the best half hour you will spend in Whitby. The following photograph is of a superb model of a Watson Class lieboat with its builder. 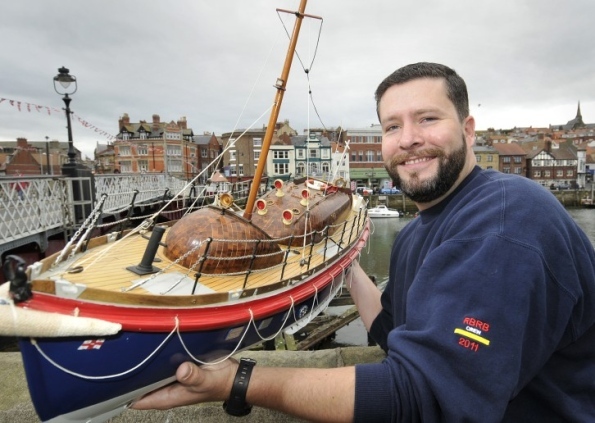 The model is very similar to our very own former Whitby lifeboat "Mary Ann Hepworth." It is presented here in relation to an auction held on the 22nd October at the Runswick Bay Hotel. The model is complete and ready wired for a small motor and is 120cm long and 40cm wide. It is one of many fine items to be auctioned in an effort to raise funds for the Whitby RNLI and The Runswick Bay Rescue Boat, two very worthy causes indeed.